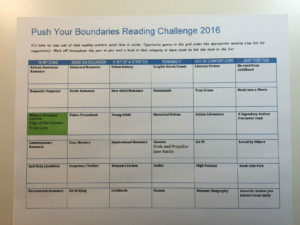 Romance writer Roni Loren has put together a unique reading challenge for 2016. 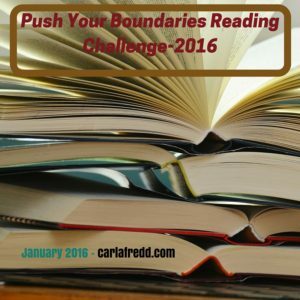 The gist of the challenge is to read outside of your comfort zone. I must admit that have not been reading outside of my comfort zone in a few years. I mostly read contemporary romance, military romance or self-help books. On occasion I will read something new usually on the recommendation of friends that have the same reading taste as I do but for the most part I stick with what I know. After reading Roni’s blog post, I realized that I’d gotten into a reading rut. Who wants to be in a rut? In 2016, I plan to get out of my rut using the Push Your Boundaries Reading Challenge 2016. I won’t go into a lot of detail because Ronnie does an excellent job of explaining the whole system of the reading challenge. You can find her blog post here. 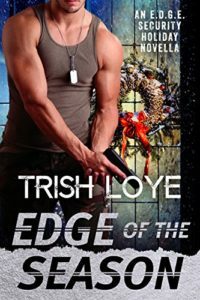 The first book I read in 2016 is titled Edge of the Season by Trish Loye. Edge of the Season is a military romance novella. It’s the fourth in the E. D. G. E. Security series. This was the first book I read by this author and I did not feel like I had to read all of the three books space prior to understand the story. I will definitely have to put Trish Loye on my list of authors to read this year once I finish this challenge. To learn more about Trish Loye, visit her website at http://trishloye.com/. 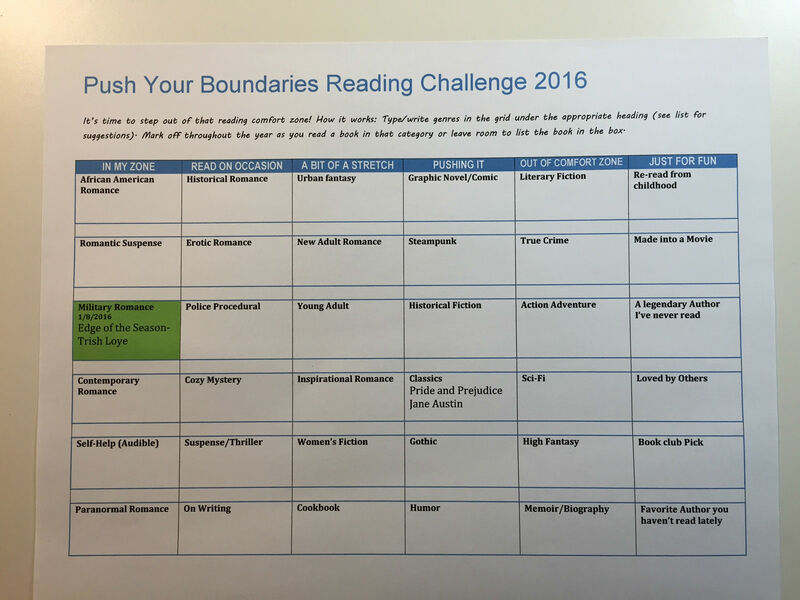 Do you have reading goals for 2016? Please share, I’d love to hear about them. Can the best of friends become the best of lovers? Find out more!